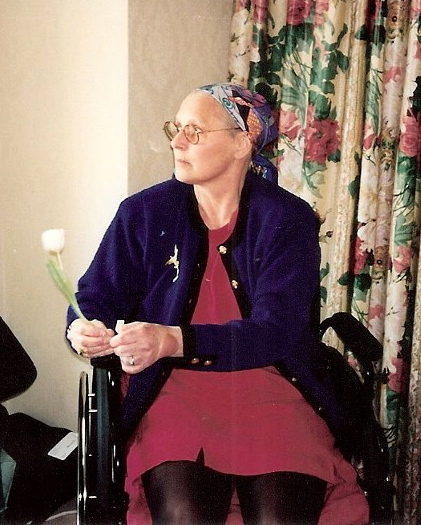 When we found out that my mother’s cancer had moved to her brain and spinal fluid, and only had four weeks left to live, Lyman and I moved up our wedding. I’d always known that my mother would never meet my children, and that I would live with that regret forever, but you can’t speed up having a baby. You can speed up a ceremony and I knew that I couldn’t live with the regret of not having Mom at my wedding. So, we scrambled around Boston, and thanks to the help of many people, we were able to plan a celebration in under a week. Mom declined rapidly, and a few days before the rehearsal dinner, she lost the use of her legs. We didn’t know how we could get her from the 2nd floor to a waiting car. On a whim, I stopped at the local firehouse around the corner from their apartment in The Back Bay. 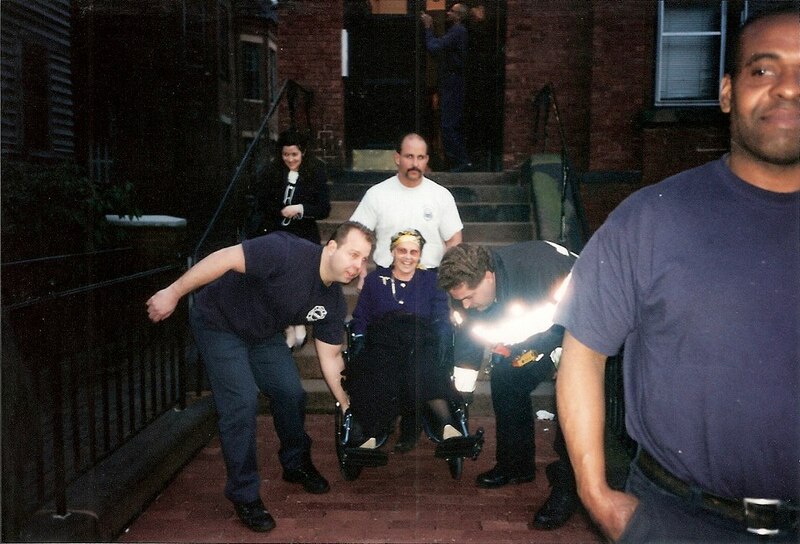 I explained the situation to the Fire Chief and asked if I could hire a few firefighters to carry her down. He was kind and compassionate and said that I could not hire anyone because it would be their pleasure to help. He asked for the address and the date and time we wanted them there. They put her in the front seat of the firetruck, turned on the lights and sirens, and drove (the wrong way on one way streets!) to the Somerset Club on Beacon Hill. The joy on her face was indescribable. Because the cancer in her brain had begun to effect her cognitive abilities, she had become more childlike. She clapped her hands, giggled, and kissed them all on the cheeks. She said it was a highlight of her life. These men took 30 minutes out of their lives and created joy and happiness where we were surrounded by death and sadness. I will forever be grateful to them. Over the years, I’ve visited the firehouse several times and thanked whomever happens to be there for the kindness they showed our entire family. The pictures I’ve seen in the past few days, of firefighters carrying children, pulling down barriers to get to the victims, consoling civilians, don’t surprise me in the least. I’ve known for years that these gruff and brave men and women have hearts of gold. 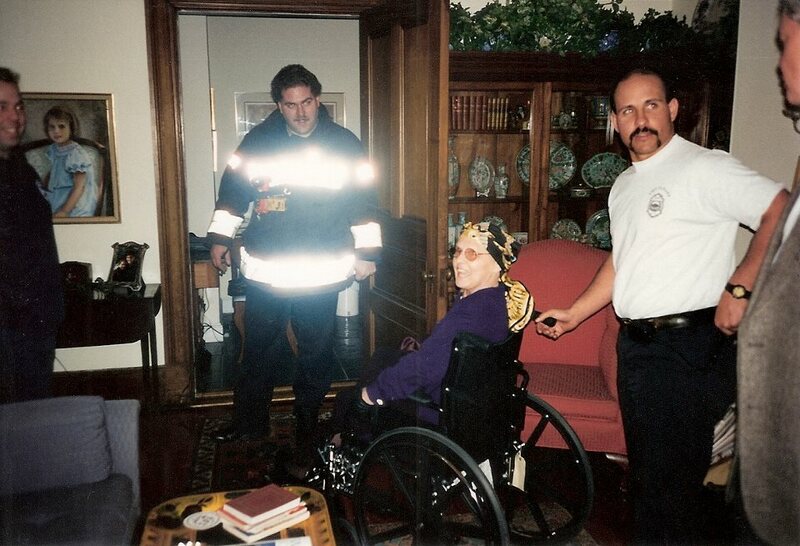 Mom, right before our wedding, two weeks before she died. 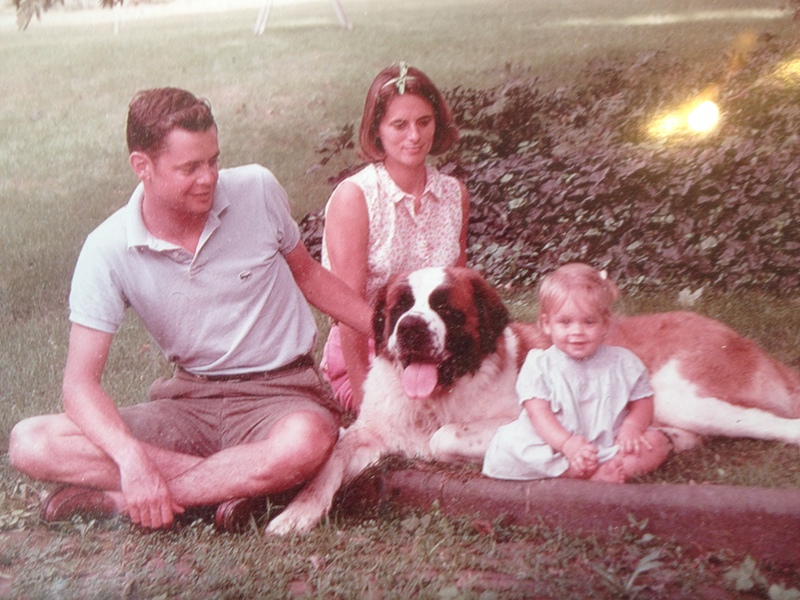 Family picture from my first birthday. What an incredibly beautiful story. Thank you for sharing. I was wondering about the Firetruck story when you mentioned it on Monday morning. Glad you updated us all. 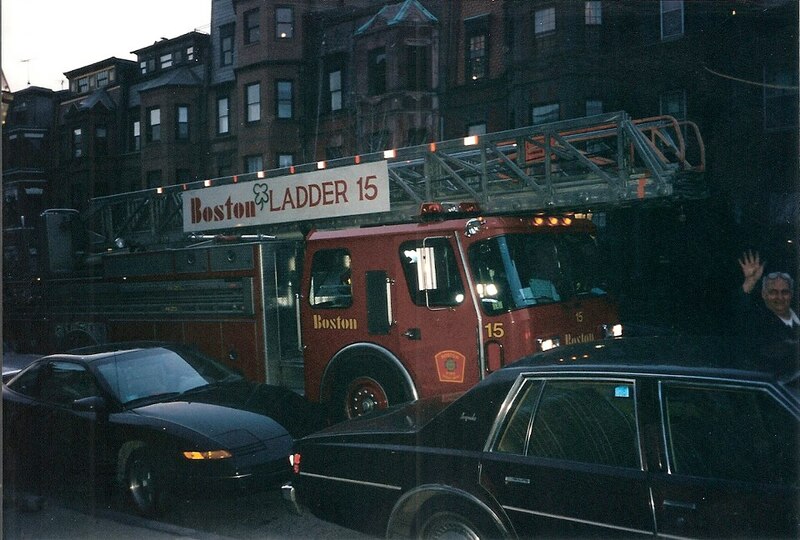 I am in the Back Bay alot and I would love to find the exact firestation number or location so I can think happy thoughts every time I see it. I know there is one I pass alot and I will think of those wonderful men and your great story every time I drive by. Thank you for posting this. Especially now. Very touching Rachel. What an awesome memory to have of your mom’s last days. Tears. 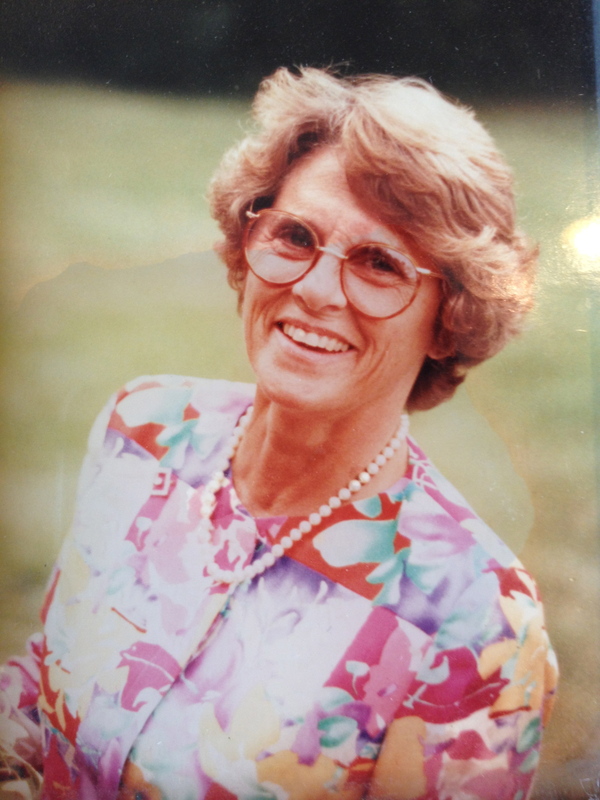 Tears of sadness for your loss, and of joy for all your wonderful mother brought to so many lives. (((Rachel))). That’s a pic of your parents with you?!? I honestly thought it was you and Lyman! You look very much like your mom. Thank you Rachel. What a perfect time for a bit of joy. I’m glad your mom had such fun at an unimaginably difficult time. Oh Rachel, I’ve got tears, your mom can be so proud of you as I am sure she can read your blog too. What a wonderful tribute to you and Lyman, the fire Fighters, and the courage of your Mother. I have wept for your loss and wept for how proud I am of you two for being who you are, my oldest children, and for the strength of the people of Boston for the way they have gallantly responded to this heinous act of cowardice. I love this story! I have heard other people’s version but never yours. I’m sure it’s a memory you hold very close to your heart! Hugs to all of you! Wow, this just about brings tears to my eyes. Well written, heart-felt post. Thank you, for sharing. What a wonderful story Rachel. Thank you for sharing it. I can’t believe it has been sixteen years! We have a photo in the family room of your mom being carried down the stairs from the apt. to the firetruck which always reminds me of what a free spirit your mom was and how totally unpretentious she was. from above and is so very proud! Thank you so much for that wonderful story. It made my day! what a wonderful tribute to the fireman of Boston and a beautiful happenstance brush with the good human nature in so many people. What a happy memory to end your moms life. I have very fond memories of your mother. You were 7 years old when I met your family!! Thanks for sharing about your mom and about your life in Jordan. I enjoy reading your blog and looking at the photos! This is such a beautiful story! It tells of the joy, strength and kindness of the human heart. For me, that will always outdo the tales of evil. Your Mom sounds as though she was a wonderful person. I love the story and really loved seeing photos of your mom.